Okay, we said recently that we were done with our Emerald City Comicon 2015 convention coverage. But here were are again, with one more round of ‘celebrity guest panel’ photos from the March 27-29, 2015 event. Not much to add except ECCC2015 was a blast and we can’t wait for next year! Remember, the ever-growing Emerald City Comicon expands to four days in 2016, April 7-10. Visit the official site for all the latest updates. 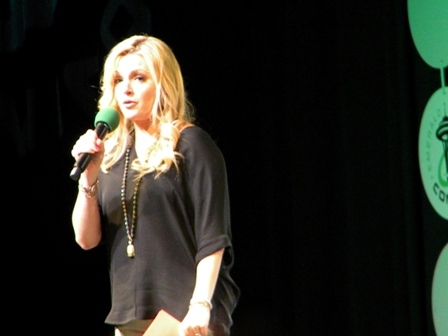 Amanda Tapping, best known as Samantha Carter on Stargate SG-1 and Stargate Atlantis, was one of relatively few celebrity guests who chose to go unmoderated for their panel appearance. We can’t rave enough about the wildly entertaining panel by C-3PO himself, co-star of the hotly anticipated Star Wars: The Force Awakens, Anthony Daniels. He didn’t drop too many hints about the new movie, but he pretty defined the perfect energy level needed to keep a 3,000+ audience captivated. R2-D2 made a scene-stealing appearance and many cell phones were snapping away as seen in the photo above. 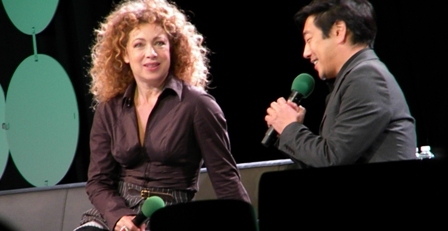 Though she primarily served as co-moderator (with Grant Imahara), Buffy the Vampire Slayer alumna Clare Kramer was part of the “Ladies of Buffy” panel. She was accompanied by Charisma Carpenter and Julie Benz. 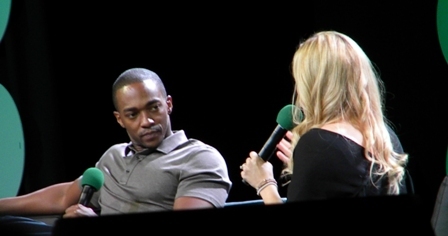 The most fun part of the “Ladies of Buffy” panel was the interactive trivia contest. Here’s another shot of Charisma Carpenter from that portion of the panel because, well, why not? Both Charisma Carpenter and Julie Benz admitted to not knowing any of the answer to the Buffy trivia! Another unmoderated celeb was the inimitable John Barrowman, Captain Jack Harkness from Torchwood and Doctor Who. 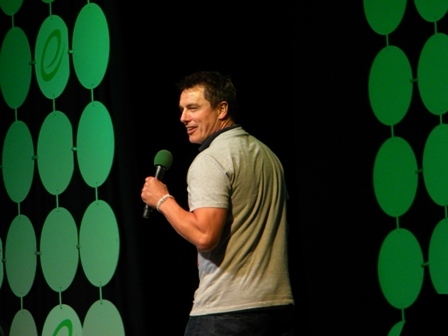 Barrowman was making his first Emerald City Comicon appearance and hopefully not his last. He put on a truly unpredictable, high-energy one-man-show. How about one more shot of Capt. Jack? Not sure what Barrowman was demonstrating in the above photo, but trust us – you never know what you’re gonna get with a John Barrowman panel. 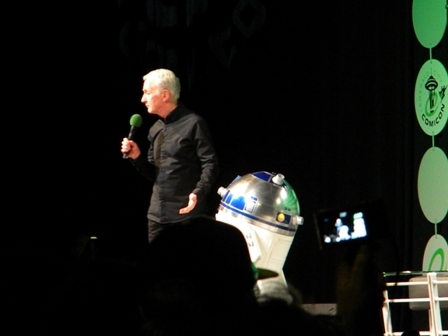 Along with Anthony Daniels, he was the ultimate rock star of Emerald City Comicon 2015. Hoards of Firefly fans turned out to see Gina Torres and Jewel Staite together. Marvel’s Agents of S.H.I.E.L.D. 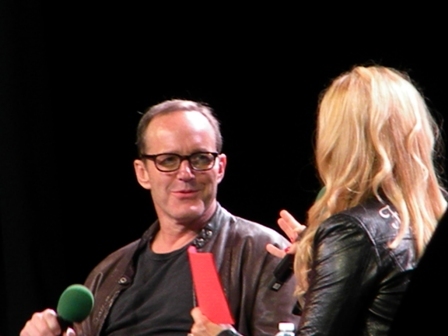 was represented by Director Phil Coulson himself, Clark Gregg. Speaking Marvel, let’s wrap this up with a few Marvel-related photos – one of the Falcon and a couple of Stan “The Man” Lee himself. 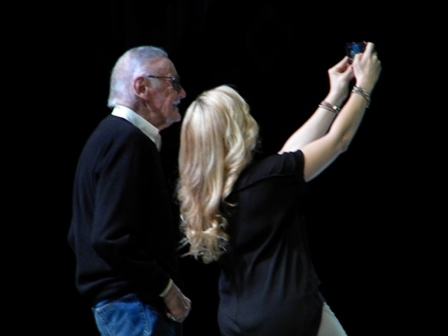 The Stan Lee panel concluded with the taking of an epic selfie. You can’t see it here, but hundreds of Marvel-costumed attendees were behind them when Clare Kramer took this selfie. That’s a wrap! Our Emerald City Comicon 2015 coverage has now indisputably concluded!